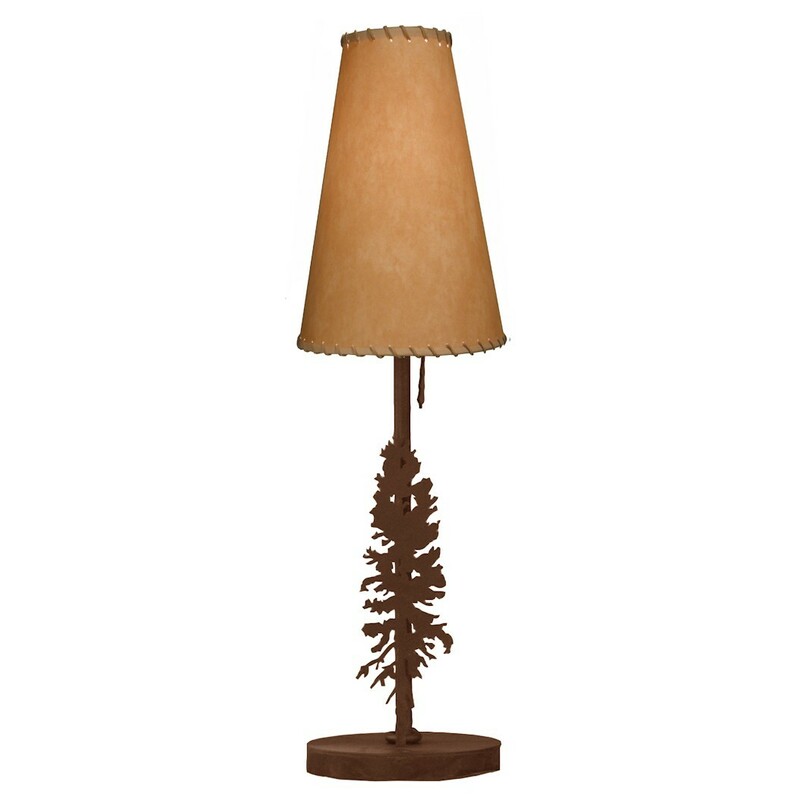 This slim Lodge Pole Candlestick Lamp looks great when you pair two of them on either side of the dining room buffet or the console table in your foyer. This slim Lodge Pole Candlestick Lamp looks great when you pair two of them on either side of the dining room buffet or the console table in your foyer. 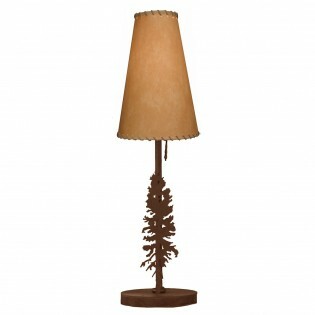 This rustic pine tree candlestick lamp measures 30" tall with a 8" diameter base and features a parchment shade. Made of steel, this lamp is available in either a black powder coat or rust patina finish, it uses one 60 watt bulb.